After visiting the tourist attractions of Ninh Thuan is finished, the city of Phan Rang approximately 8 km to the southeast displays a different beauty, unspoiled and romantic: a sand hill called Nam Cuong located in Tuan Tu, An Hai ward, Ninh Phuoc district, Ninh Thuan, within Cham ethnic culture territory, with an area of 700 hectares. Surrounded by forests, thousands of silver sea, villages and farms, it creates a separate shades for artistic inspiration. 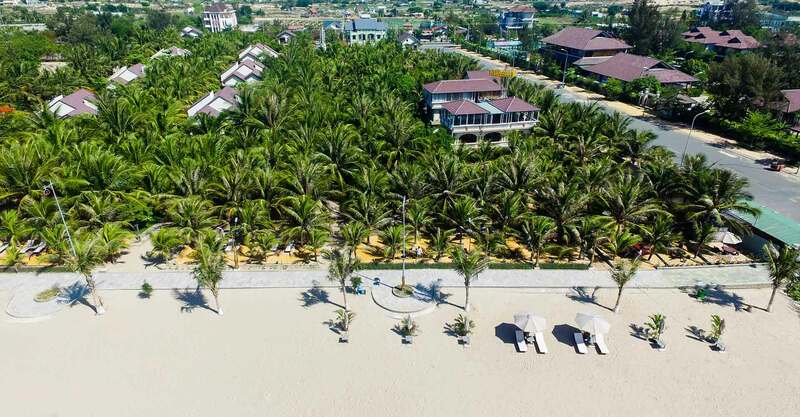 Nam Cuong sandhill unobtrusive as Mui Ne Sand Dunes, nor much praise simile, comparing like "Doi Cat Di Dong" of Quang Binh. Nam Cuong is located behind the trails, hiding behind the push bamboo, apple orchards, vineyards. In the afternoon, the sun flap on the sand stretches as mingle with flying sand by the wind, sparkling and fanciful look strange. Afternoon with many activities taking place at the sandhill is an image of young girls roller care on the head, care basket deliberate step on the sandhill, the clatter of cattle, tinkling across the hill to the house, the delegation learned students go to school on left its mark on the sand are the footprints, and then tomorrow morning winds blowing from the Dong Hai to do everything as no traces of yesterday, all vanish. Another thing that is equally attractive to visitors while in Nam Cuong, it'll be back to ours childhood when shepherds watched the kids playing kite flying, rolling on the bike long sloping shape and then gasping when to chase them. Best photos leaving some travelers to this is where girls care on top jar, combine with afternoon sun falls, as fascinated visitors do not want to leave. All the fatigue, anxiety are stripped by the rustic and pristine unexplored sand hill of this.